When Harvest Inc. announced that it offered the tiny town of Hancock, Maryland, a 5% stake in a cultivation facility it hopes to open there, a few eyebrows went up. Some observers called it innovative, saying the move could serve as a blueprint for companies trying to win medical cannabis licenses. Others equated it to a bribe, saying the company is looking to gain an unfair advantage in the licensing process. In any event, town officials accepted the deal in early October after having lawyers sign off on the legality of the offer. As a result, Harvest – a cannabis dispensary and cultivation company based in Arizona – was able to include the arrangement in the company’s application for one of 15 medical cannabis licenses that the Maryland Medical Cannabis Commission will eventually award. “If it works, we hope to replicate it” when applying for licenses in other states, said Steve White, the CEO and founding partner of Harvest. He rejected the assertion that offering the town an equity stake is a bribe, as local officials have no say in who wins MMJ business licenses. White said the minority stake offering is simply a way to show commitment to Hancock, which sits in the narrowest part of the state and is close to both Pennsylvania and West Virginia borders. “If we are really dedicated to this town, let’s show them,” White said. James Peck, director of research at the Maryland Municipal League, said there is nothing illegal or unethical about the Harvest-Hancock equity arrangement. The town has a non-voting share and will not be involved in business decisions should Harvest win a license from the state. Industry consultant Matt Cook said the equity offer would not help Harvest’s application, but it was still a good move. And the fact that a town would have an equity stake in a cannabis business also has implications. “What’s significant about an equity stake, is that they’re flying in the face of the federal government,” Cook said. White said he doesn’t know of any other cannabis companies seeking local approvals that have offered equity stakes to a town, though there seem to be few similar examples from other industries. In states with regulated gambling, towns with casinos and gambling establishments get a percentage of the profits. There are also “municipal enterprises” in which a town owns businesses, such as convention center hotels or even cable TV services. “We may be blazing a new trail here,” said Hancock Mayor Dan Murphy, who arranged for White to present his company to local citizens at a town forum earlier this year. Murphy said White brought along a physician and the mother of an epilepsy patient to talk about marijuana’s medical benefits. He noted that it was also important for Harvest to partner with the town because Maryland’s medical marijuana law requires that at least one owner in a cannabis company have state residency. For Harvest, that became the town of Hancock. License applications in Maryland were due earlier this month, and hundreds of businesses threw their hats in the ring for dispensary, cultivation and other MMJ business licenses. The Towson University Regional Economic Studies Institute will evaluate the applications and pass on its findings to the state cannabis commission for a final decision by mid-January. 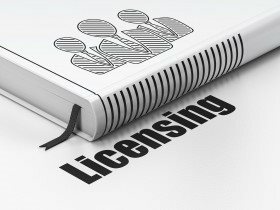 Whoever gets a “stage one license” will have one year to acquire real estate, raise capital, hire employees and take other steps to request a final commission inspection and obtain a formal license. Harvest has already identified the real estate where it hopes to locate its cannabis cultivation process: a Fleetwood RV factory that employed 400 people. Hancock was also attractive because of the many skilled available workers looking for jobs, thanks to the closure of the town’s three factories, which collectively employed about 1,000 people just 20 years ago. Harvest expects to employ about 125 people at the facility if it wins a license. “People are pulling for this town to recover,” White said.